If you have been reading the blog for long you know I have four crazy kids. Three are still living at home and currently enrolled in elementary, middle, and high school. Let that sink in for just a moment…it equals crazy schedules and busy mornings. We are often short on time and someone is always rushing to get out the door. Over the years it has forced me to get creative with breakfast, school lunches, and evening meals. 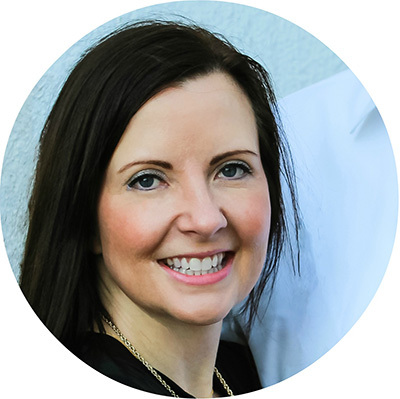 To be able to feed my kids any thing other than something that comes out of a box (and trust me…they eat plenty of that as well), I have to really plan ahead. Weekends are spent meal planning, shopping, and prepping food for the week. 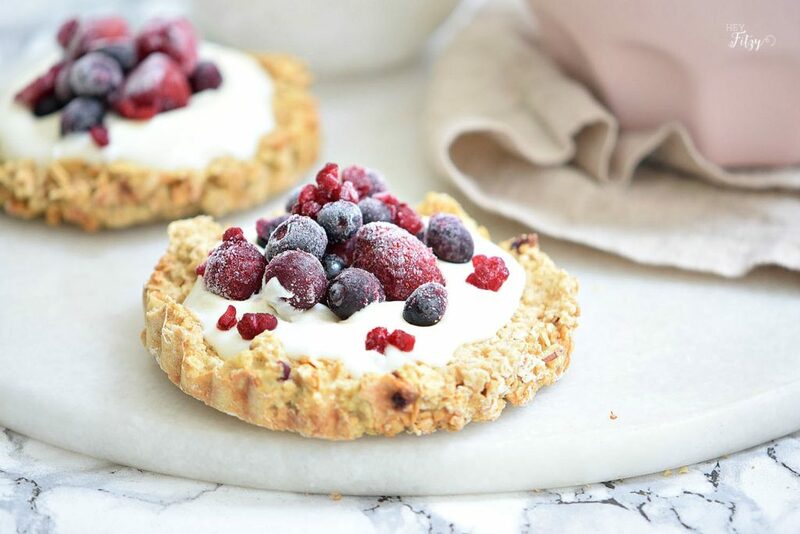 Our recipe for frozen yogurt tarts are a fun treat that I like to make ahead of time in preparation for a busy week. Using an ice cream maker, I churn the yogurt and sugar. This process really does something magical to the yogurt. Not sure what it is but well worth the extra step. You can use any frozen berry combination of your choice. Sometimes it is fun to mix it up a bit and/or accommodate different fruit preferences. Getting the kids involved in this process creates a win-win as everyone can have their favorite fruit combination. In a bowl mix the yogurt and the sugar. Transfer the mix to an ice cream maker and churn following the manufacturer’s directions. In a bowl mix the oats, flour, sugar, and baking powder. Add the honey, coconut oil and cinnamon. Mix well. Using the hands press the dough into mini tart pans and take to the oven for 10 minutes or until golden. Remove from the oven and let cool down for 5 minutes. Fill with the frozen yogurt and top with the frozen berries. Add some chocolate shavings or chocolate spread into the frozen yogurt mix. 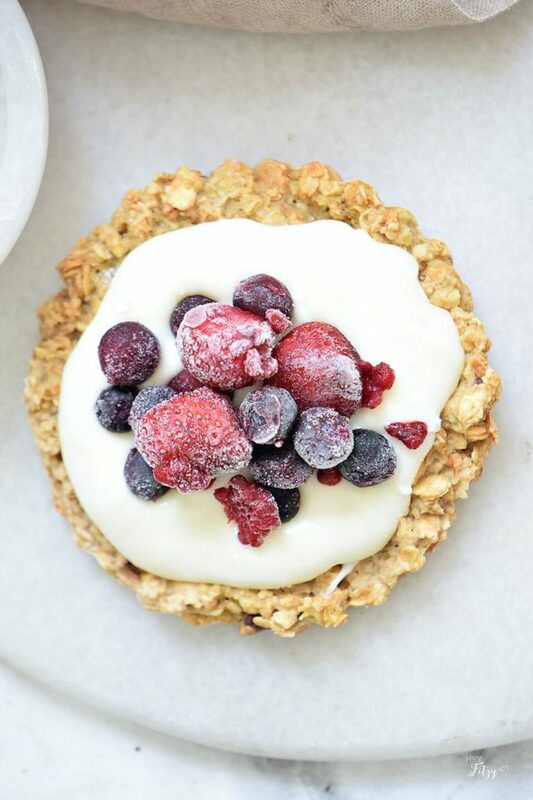 The frozen yogurt tarts can easily be made up ahead of time and stored in an air tight container in the freezer. Then all you have to do on those busy mornings is simply grab one and go. 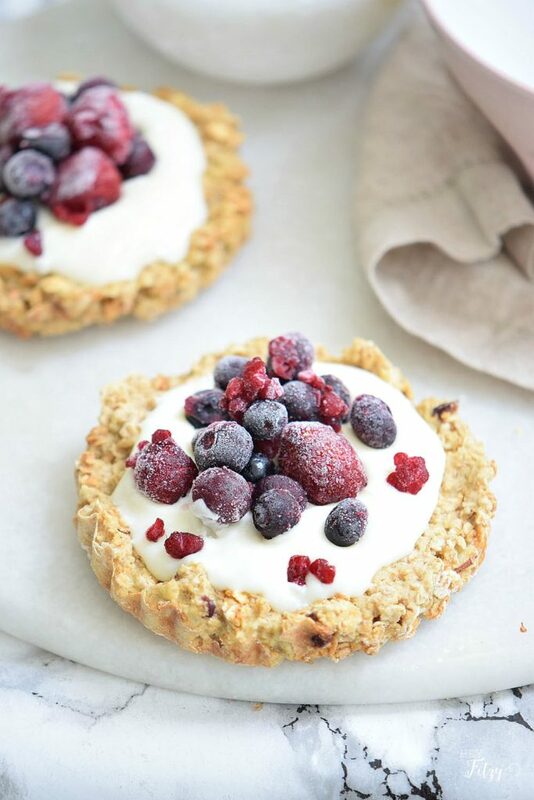 These tarts also make a great addition to my kids school lunches. The frozen yogurt helps keep other items cool and are perfect temperature by lunch time. Getting these kids out the door in the morning is tough. What are some of your tips and tricks for saving time in the morning? These look so yummy! Admittedly, you lost me at "churning" since I don't have an ice cream maker but they look fabulous and so very tempting. Great photos. Let me tell you a little secret. You can totally make these without the 'churning'. While that little steps makes the yogurt extra creamy, mixing your yogurt with a little sugar is just as good. I would mix the yogurt and sugar together and then place in the freezer for about 15 minutes prior to placing on top to create your tart. This will help ensure your yogurt doesn't run off. I hope you still give them a try. They are so good! Thank you Kerryanne! Totally going to check it out! This looks so refreshing and tasty! It's my feature tomorrow at Welcome Home Wednesdays! Congrats! Thanks for partying with us! 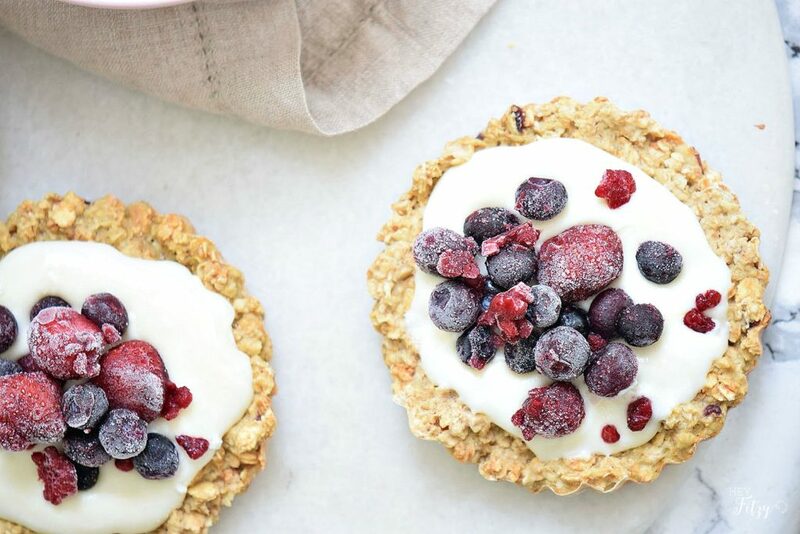 Hi Erin, Thank you for featuring my frozen yogurt tarts. They really are so good!